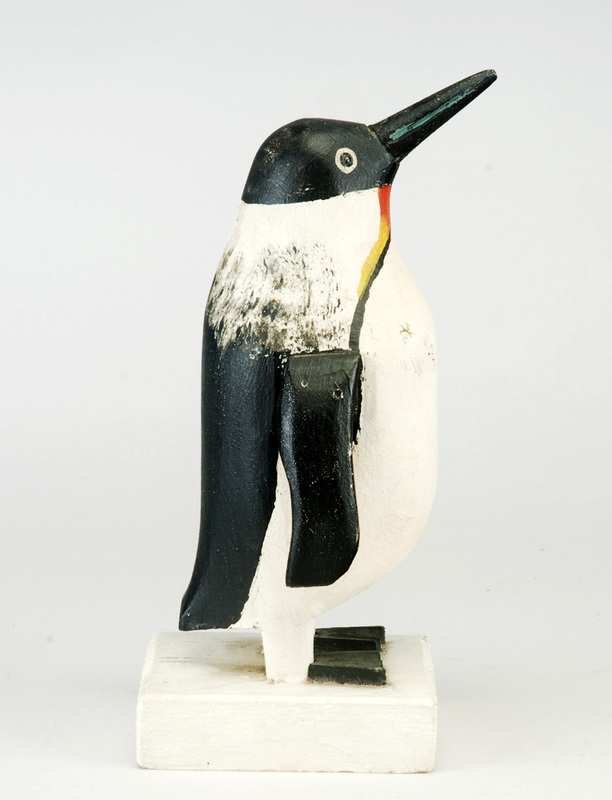 Displaying Hart's famous characteristics (applied wings and feet, lead eyes, etc.). 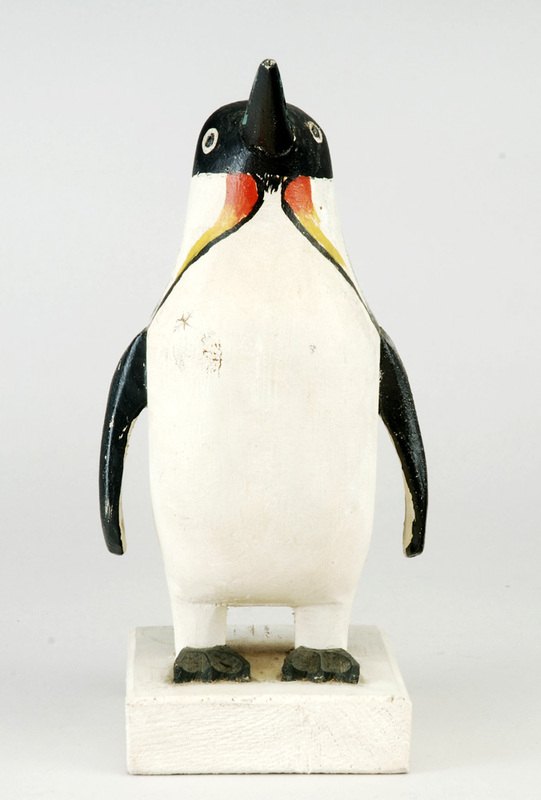 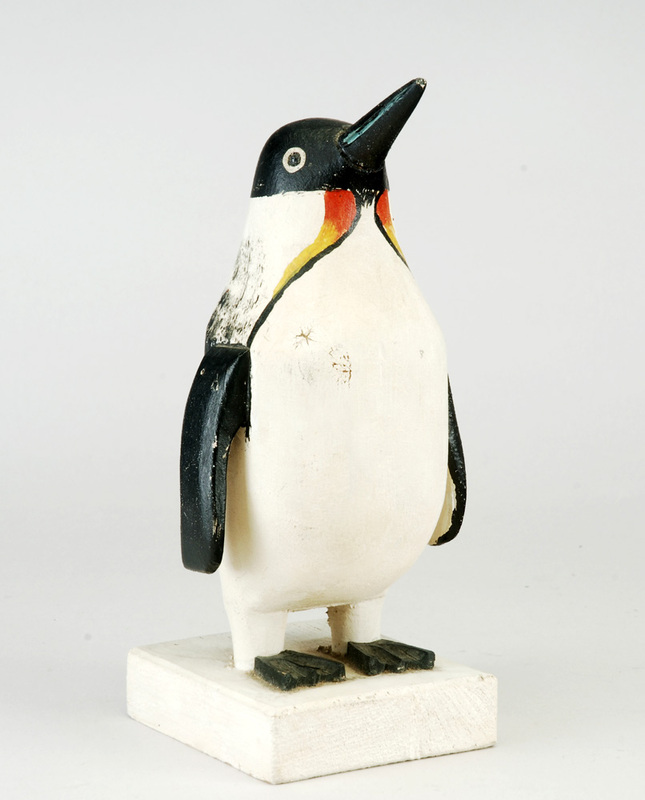 Hart made a series of penguins, which are highly regarded folk art carvings. 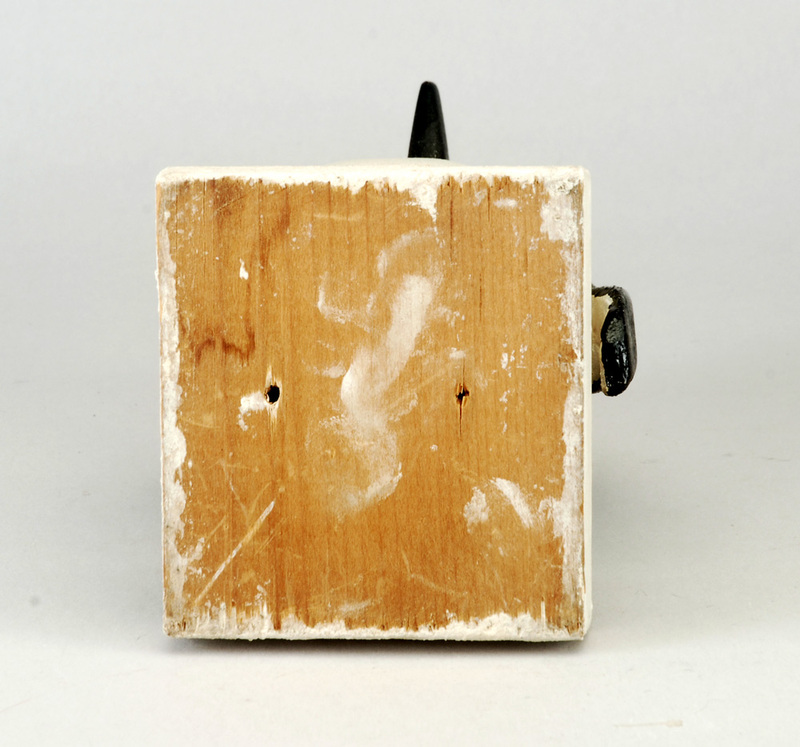 This example is essentially mint. 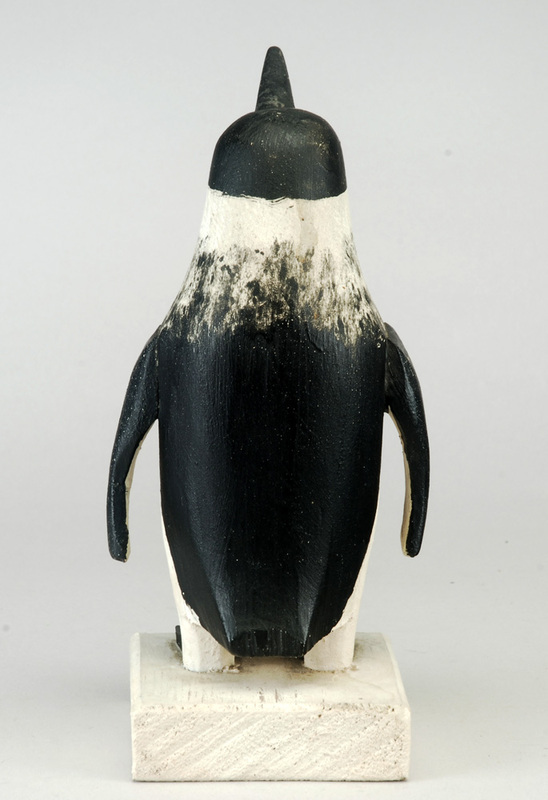 Its small tail chip is covered with original paint. 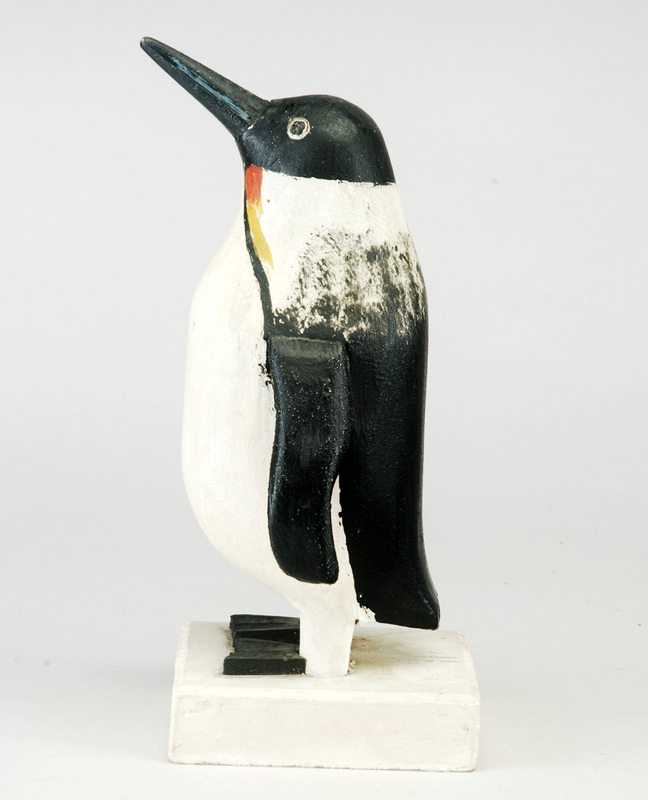 Hart became enamored with penguins after U. S. Admiral Richard Byrd became the first persn to fly over the South Pole in 1928.